The master bathroom interior design trends for 2018 are full of new, upcoming, and trendy ideas you will want to review if you are considering a bathroom renovation. Even if you are not planning on gutting the entire bathroom and are only updating certain aspects of it, you should still check out these trends. If you dislike walking across a cold bathroom floor, then you will want to have heated bathroom floors. Even though floor heating systems have been around for a while, they were only compatible with specific types of flooring, like ceramic and marble. With recent advances in technologies, today’s floor heating systems are designed to work with a wide array of flooring, including high-quality vinyl, laminates, and hardwoods. Cabinet Resurfacing: You can paint or stain the cabinets and drawers different colors and change out handles. There are also various painting techniques you can use to give the cabinets a vintage look. Countertop Resurfacing: Certain types of countertops can be refinished using special paints and coatings. Mirrors: You have several options, here, to give mirrors an updated look. You could have a large mirror cut into several smaller mirrors and various shapes and sizes. Another popular trend is to take accent trim pieces to make it appear like the mirror has been framed, much like a picture. HD TVs: You can get a specially designed moisture and humidity-proof HD TV installed in your tub or shower. Smart Showers: These showers can include audio systems, LED lights, and even personalized settings for everyone in the home. Automatic Soap Dispensers and Faucets: Those automatic soap dispensers and faucets found in public restrooms are now making their way into people’s homes. Smart Toilets: There is a variety of advanced toilets to choose from for your bathroom. Some models include heated seats, auto flushing, and auto cleaning. Other models can stream music and connect to Alexa, Google Home, Siri, and so on. Some models even connect to other IoT devices so you can work on your grocery list, listen to an audiobook, or play music. For homes with smaller master bathrooms, you can have a modern and trendy bathroom. 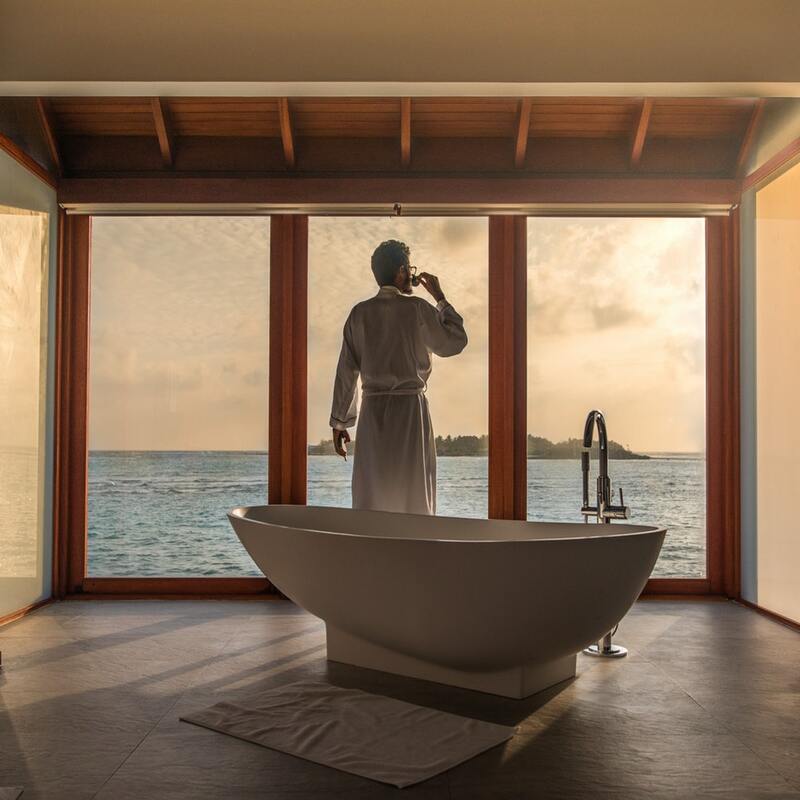 Some people are downsizing the size of cabinets and sinks, getting a wall-mounted toilet, and ditching separate tubs and showers for a single tub shower enclosure. 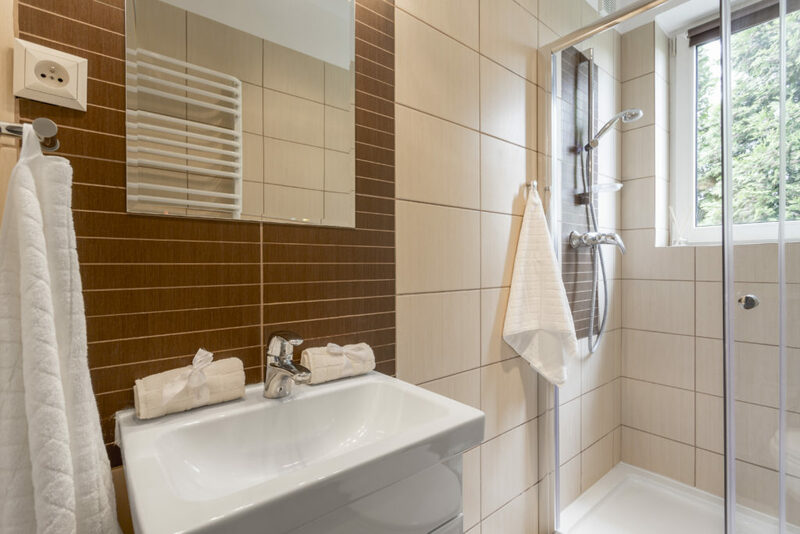 For more design ideas or help in selecting the right shower and tub enclosures, wall kits, and other accessories for your bathroom, please feel free to contact American Bath Enterprises, Inc. at (888) 228-4925 today!